At the end of it all how do you think that you did? Did you wow your crowd with amazing attentive (but not to attentive!) service? Was your kitchen killin’ it, or did your grill guy or gal crash miserably with all of the steaks coming their way? What about wait times? If you don’t have the right tools in place you’re probably thinking that there are major areas for improvement. Don’t worry, we get that. If you’re not utilizing an online scheduling tool (like Ameego!) scheduling for events can be like throwing tennis balls at a wall and praying that they stick. 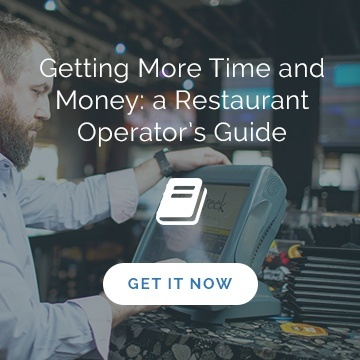 We’ve explained in earlier blog posts that 90% of the Ameego team comes from restaurants. We get that events can throw a huge wrench in the plan. You schedule for a crazy night and pray that you’re right and that the numbers all line up; if it doesn't turn out to be busy right away and you cut the floor too early, you may be paying for it later, keep people around and your profitability tanks. 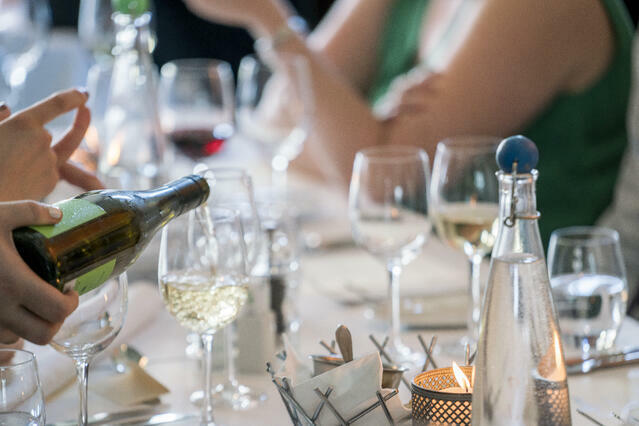 Event nights like Valentine’s Day tend to bring new folks to your location; people that normally go elsewhere but want to treat themselves with an evening at your restaurant. If you wow them you may earn their business more often, if you don’t you may be out of luck. So what do you do? How do you plan for an evening that’s unlike 99% of the nights in your location? You get the right tools in place (and we can help with that)! Here’s a list of the tools in Ameego that we know will help you crush events. Some you may already be using without Ameego, but put them online in a central, easy to locate spot like your online scheduling tool and you’ll be laughing your way to profit-ville. Easily adding events into a central calendar is one of the number one ways you can avoid surprises in your schedule. Valentine’s Day may be every February 14th, but Easter, Mother’s Day, Father’s Day, and so many more always change! Your community also has events that will impact your sale (concerts, festivals, etc). Knowing when these are going to happen can help you schedule in advance for the impending gongshow. Ameego’s event calendar is easily accessible. It allows you to consolidate what’s going to happen around you, and even block book offs on certain days to ensure that you have enough staff to kill it that day. Communication is key! Making sure that your management team knows what happened yesterday can make a big impact on today. Being able to easily look back on any given day is huge. Planning for Valentine’s Day (or any event that’s out of the ordinary) can be a lot easier if you know what happened last year. With our online manager log notes you can easily look back and schedule accordingly. Make sure to include details like what the weather was like, who called in sick (that pesky Gina again! ), and what sold well. Also things like deliveries versus in-store sales are important. Plus when we say we make it easy to access we mean it! Manager log notes are available on the ameego platform from wherever you, your laptop, and an internet connection may be. Plus they’re also accessible in the Ameego Anyware mobile app so if you’re a real keener, you can read them at home before your feet even hit the ground for the day. A good sales forecast is like of like having a crystal ball. You can’t really see the future but you can come as close as humanly possible. Using Ameego you can get rid of all of the math that traditional forecasting relies on and simply copy and paste last year into this year. Valentine's Day 2018 becomes Valentine’s Day 2019. Plus you can simply add or subtract a few percentage points on your sales based on the trends you’re seeing this year. What if your event is new and not something you’ve done before? You can still use Ameego to paint a pretty good picture of what you think is going to happen. If Britney Spears is coming to town and you think you’ll see a bump in sales, take a look at what happened when Jennifer Lopez rolled through and you’ll be pretty close (plus your manager log notes will also tell you exactly what day J-lo was around). Plus with our POS integration our sales forecasting tool gets super amaze-fantastic. We can break down your sales into 15 minute increments and tell you exactly where that cash flow is coming from. For example, say that you get a huge spike in sales on J-lo night between 5:00 and 7:00 pm when the concert starts. Without our POS integration you fill every section in your restaurant and lounge and fully staff the kitchen. It’s an all hands on deck senario. When Britney rolls into town you replicate that, smart right? Wrong. Turns out your dining room staff are twiddling their thumbs for two hours while poor Paul the bartender churns out more bellinis than in the whole of Italy. Ameego can tell that that’s probably what’s going to happen and allow you to increase staff in the bar and decrease in the dining room. Like we said, kind of like a crystal ball. Once your forecast is in place you can go ahead and hit ‘go’ on your one touch scheduler! Not using Ameego (aka you don’t have a one touch scheduler)? Ugh. That’s going to take a while to match up your staff with the shifts that need to be filled. Ameego takes care of all of that for you. You can use ‘badges’ to assign your staff to the roles that they’re qualified to fill. Ameego already knows who’s available and who’s not so it’s super easy. Just push a button and BOOM, aces in their places. You can also make sure that you have people on that can fill double duty. Have a server who’s also an expert bartender? They’d be good to have around incase your sales trends switch! Regardless if you’re using Ameego or not we wish you the best of luck with your future events and hope that some of our tips will help you achieve success! If you’re looking to add Ameego to your arsenal we’d love to help you do that. We’re happy to help! 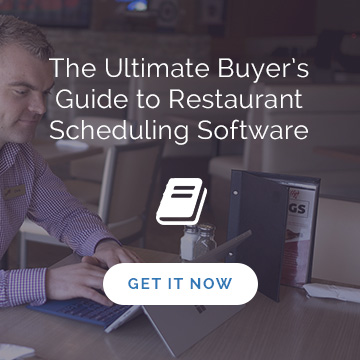 Learn how your operation can use restaurant scheduling software to align sales with labour spending and save thousands with Ameego! Book your free, no obligation demo today!